A stepper motor divides full rotation into number of equal steps. It finds great application in the fields of Robotics. Today I will explain you how to interface stepper motor with STM32. Check out the Video to see the working.. In this mode only one stator electromagnet is energized at a time. It has the same number of steps as the full step drive. In this mode two stator electromagnets are energized at a time and the motor runs at full torque. In this stepping mode, one and two phases are energized alternatively. This mode is used to increase the angular resolution of the motor but the torque is reduced. 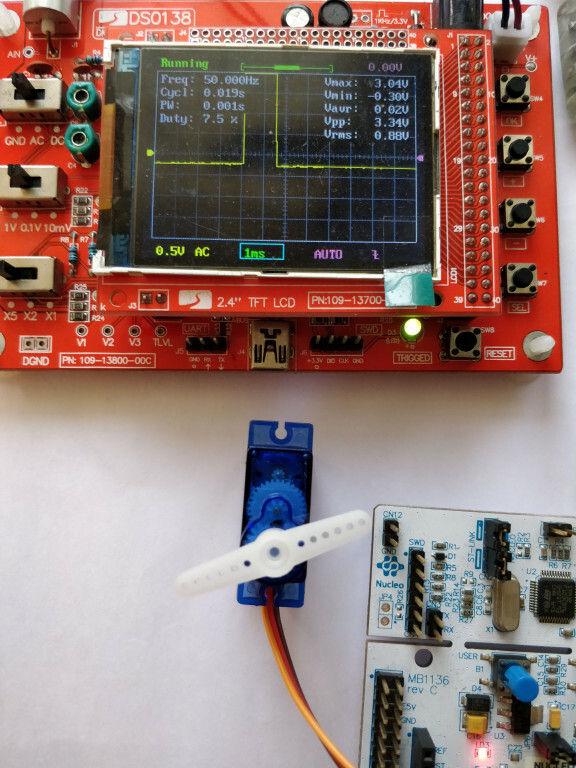 Wave drive is the simplest way to drive the motor and to explain the working of the stepper motor. So I am going to use wave drive to explain how this motor works and how to program it. According to the figure above (wave drive), we can see that in order to rotate motor we need to turn one pin HIGH at a time. This is called a step. And the combination of those 4 steps is called a sequence. For the motor to complete a full 360 degree rotation, 2048 steps are required in Wave drive and Full drive. That means we need to give 2048/4 = 512 sequences. However in Half drive, the motor require 4096 steps. But the sequence have 8 steps now (shown in the fig above) so we need to give 4096/8 = 512 sequences. This was for one complete rotation. Now let’s say we want to rotate the motor by a particular angle i.e 10 deg. All you need to do is math so for 10 deg rotation, we need (10/(360/512)) sequences i.e 14 sequences. Also if you want to vary the RPM, you need to change the time delay between steps.